Yeah, yeah, yeah, the heat has broken and we are moving from the dog days of summer and into fall. I hear you. I'm going to keep drinking Watermelon Frozé anyway. (And I know you want some, too). 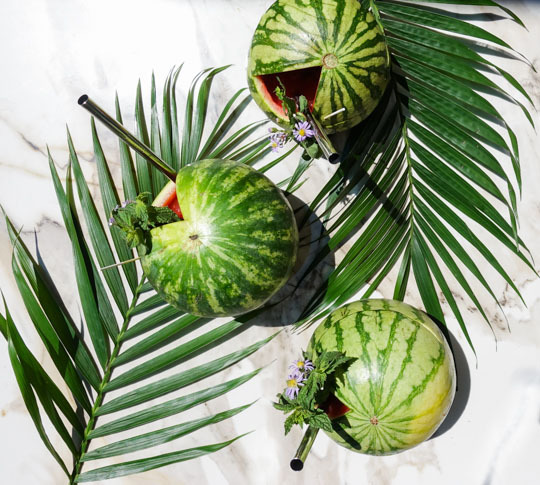 This recipe is extremely easy, and is wonderful when you serve it in those cute little mini watermelons. 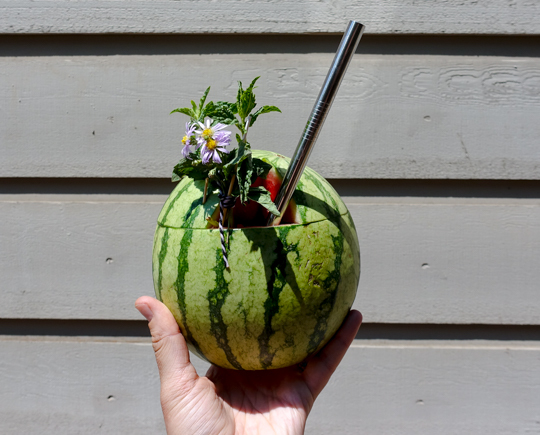 Seriously, there is nothing I love more than drinking boozy beverages out of fruit vessels. Nothing. But I digress. The trick to froze greatness is selecting a fruit-forward rosé - one with a darker color (and a lower price point). 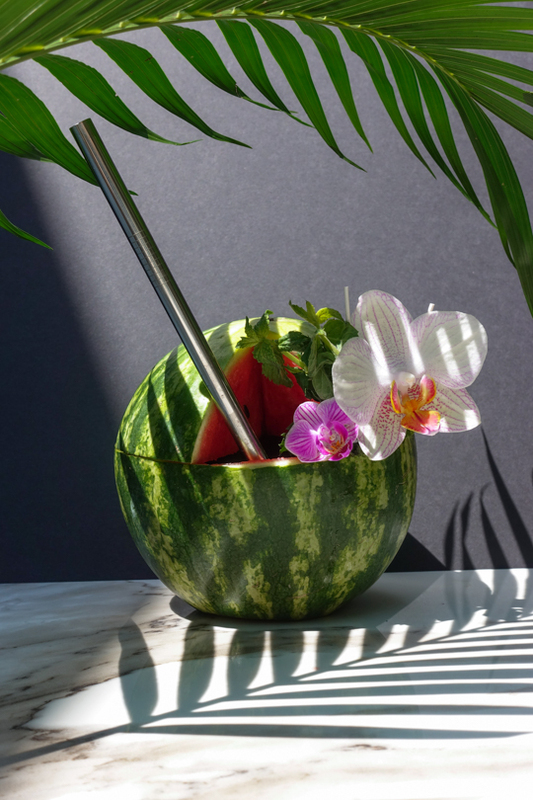 After all, each rosé has its place in the world: some deserve a place in a wine glass un-tainted by fruit and additional booze, and some deserve a place in a blender with sugar, mint, and frozen watermelon. 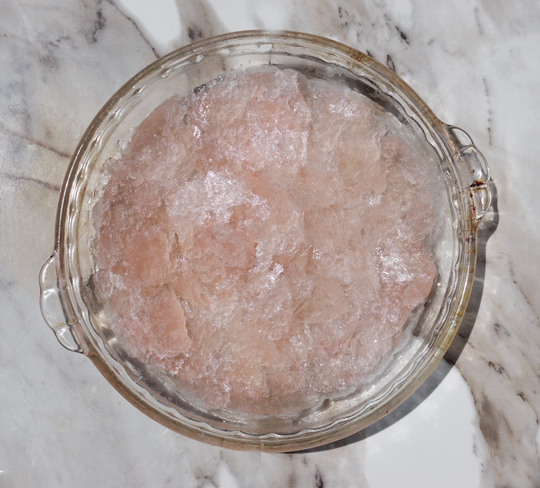 The day before, open that bottle of $9 rosé (seriously, don't spend more than that) and pour it into a large vessel such as a pie dish or a casserole dish and stick it in the freezer. 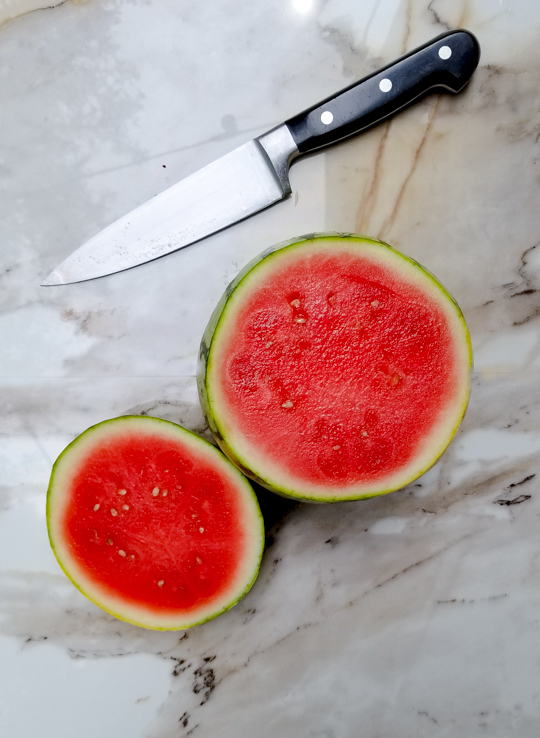 Carefully, cut the tops off of your mini watermelons, and scoop out the fruit making sure not to puncture the watermelon rind. Place the fruit in a bowl and freeze overnight. Day of, add all of the ingredients to a blender and blend with ice. Garnish with fresh orchids and a sprig of fresh mint! Add frozen rosé, frozen watermelon, simple syrup and lemon juice to a blender. Add ice and blend until smooth. 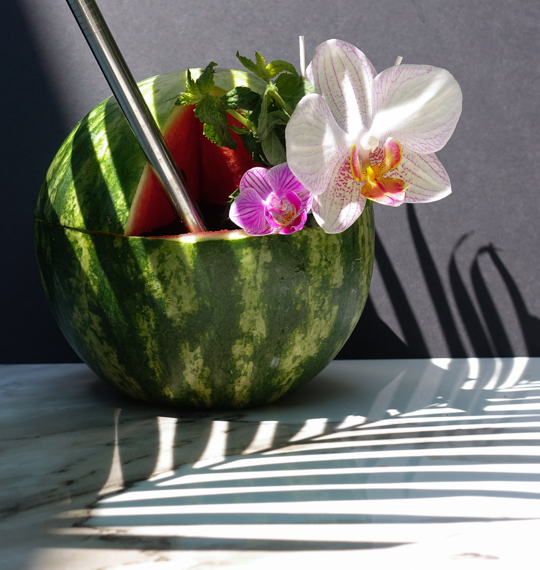 Pour into carved out mini watermelons, and garnish with a fresh orchid and a sprig of mint. Add water and sugar to a saucepan and bring to a boil. Stir until sugar is completely dissolved. Add mint and let sit for 10-15 minutes. Remove mint, and let cool. 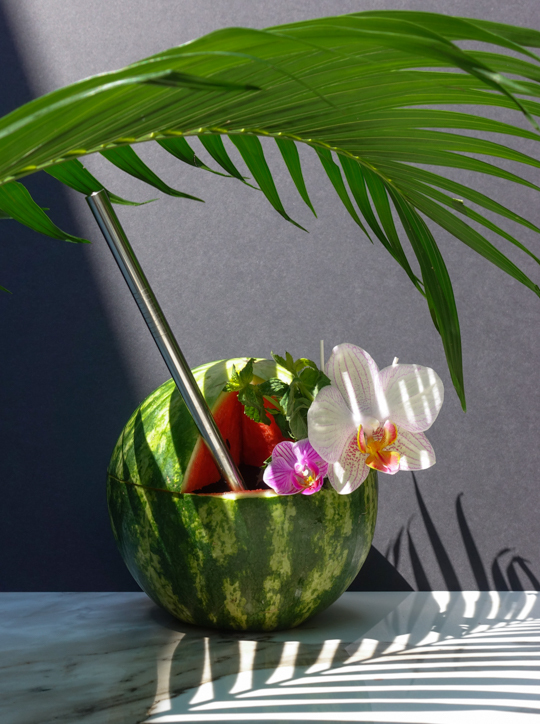 Also - big thanks to Imbibe Magazine for featuring my Watermelon Frozé photo in their summer #imbibegram round up! Summertime Cocktails Can be Canned too! Survive Memorial Day Weekend with Adult Beverages!